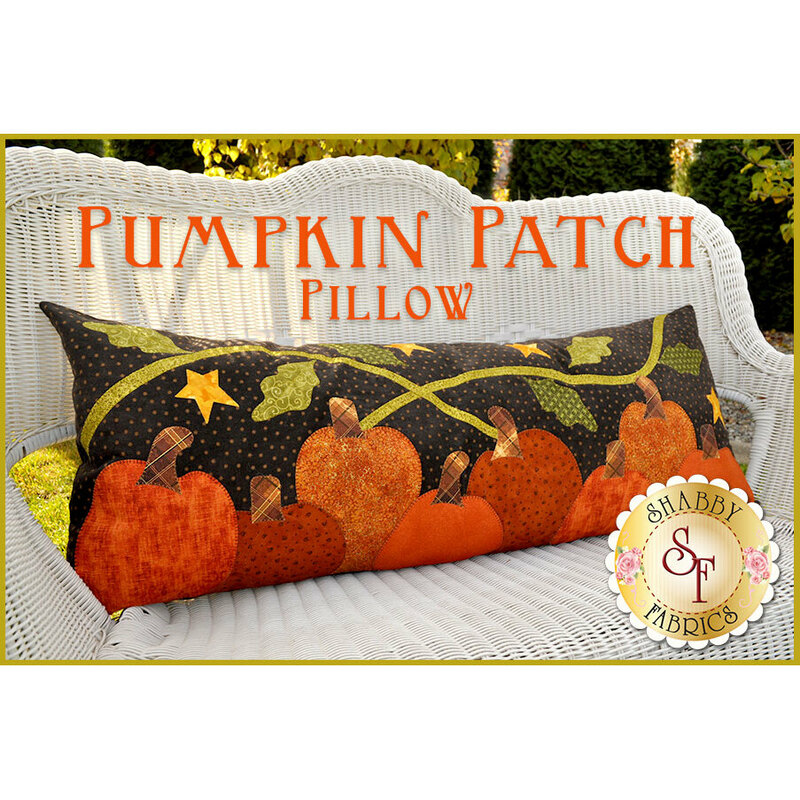 Decorate your home this fall with this adorable pillow featuring a pumpkin patch set on a cozy flannel fabric (see below)! This would make a cute accent pillow on a bench, couch or bed. Pillow is BIG and measures approximately 42" long x 15" tall. Pre-fused and Laser-Cut pieces for ALL the applique shapes( pumpkins, stems, vines, leaves and stars) - no need to trace, cut out, or turn the edges! 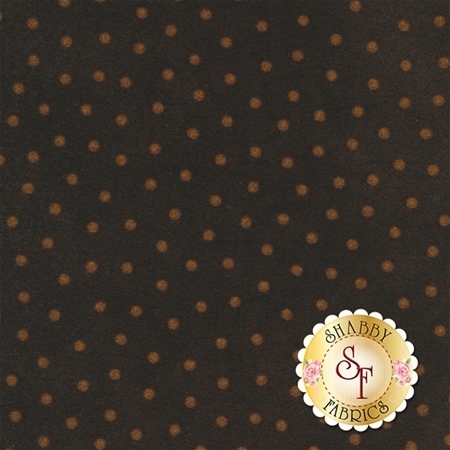 Background and BACKING Fabric - Woolies Flannel! PLEASE NOTE: the Polyfill for the pillow will not be included in your kit. Looking for the perfect thread to stitch down your laser-cut applique pieces? Try the invisible MonoPoly Thread in combination with The Bottom Line Thread! These can be added separately below. 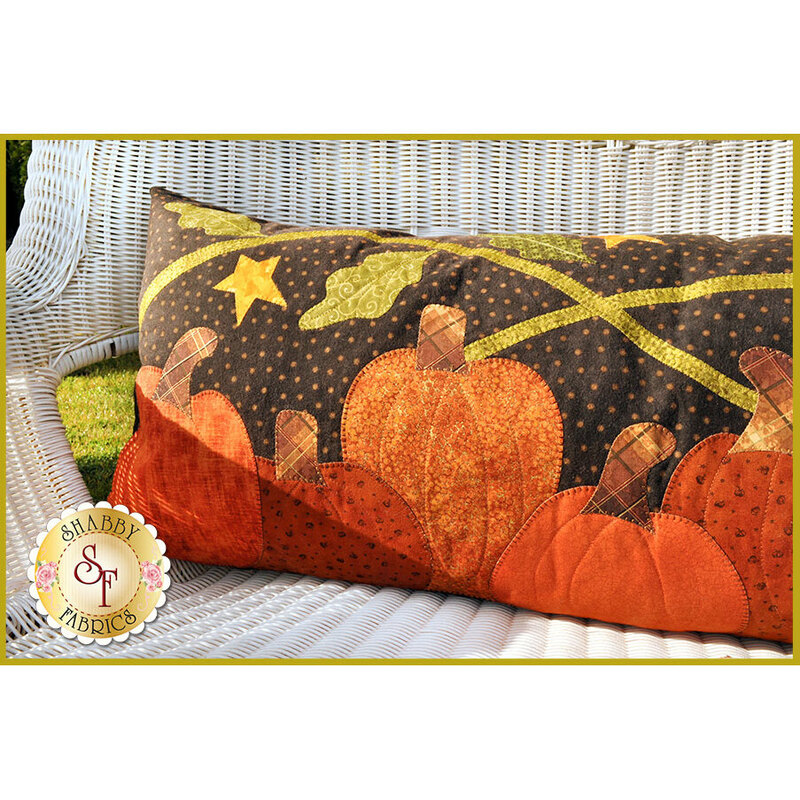 Boo Pillow and Mini Quilt Combo Kit - INCLUDES WOOL!